As the 2016 ITE International President, I have had the honor to visit with our North American Districts and some sections at their annual meetings. Every chapter, section, and district is unique in their events, programs, culture, and traditions. 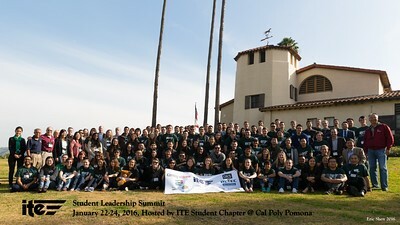 Being from the east coast, it wasn’t until my ITE Vice Presidential campaign travels that I visited the Western District and was instantly in awe of the extensive student initiatives and support to sustain 39 student chapters. The Southern District comes in second with 28 student chapters, but this certainly is neither the norm nor the average; most districts have less than a dozen student chapters. Spending most of my career in the Northeastern District, they only have a dozen student chapters and my section had only two student chapters. Student programs were a central topic of conversation during board meetings and annual budget cycle; but nothing close to what happens in the Western District. ITE International conducted a membership survey earlier this spring that acknowledged “48% of respondents learned of ITE through their ITE student chapter, professor, and classmates at their school.” Another statistic from the survey identified 26% of those not renewing their membership was because they weren’t engaged or involved. These are eye opening statistics that speaks to the lasting power of investing in our student programs and activities. Keeping our students engaged and contributing to the industry and the organization is so central to our existence. Student members are the future of ITE! ITE International has a long standing practice of active programs and career services for students and young professionals. ITE also recognizes talented young members through the awards program. At the International level, there are awards for Student Chapter activities and the Daniel B. Fambro Student Paper, and for young members, there is the new Rising Stars Program and the Young Member of the Year award. 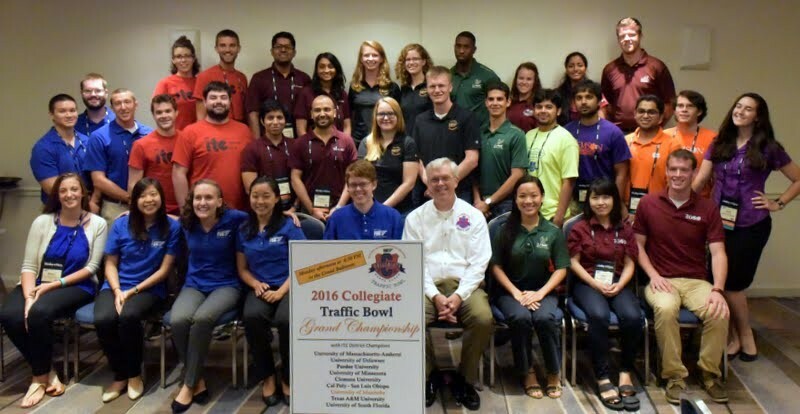 The Collegiate Traffic Bowl is the most successful program and draws hundreds of students across North America competing at the section and district levels and at the grand championship at the ITE Annual Meeting. Being selected to be part of these events and recognizing talented young members within ITE provides opportunities for our young members to network, be engaged, and to grow professionally. 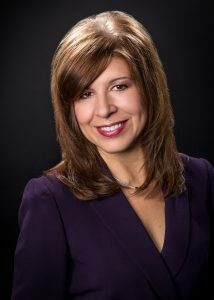 Similar awards and scholarship programs exist at district, section, and chapter levels. Programs such as the Student Leadership Summit, originating in the Western District, is in its third year and has grown in popularity that the Midwestern and Texas Districts are in the process of replicating the event. We have also seen an increase in student focused events at the annual meetings, including poster sessions, the James H. Kell Student Competition, and student and young professionals’ session tracks that include resume and interview workshop and other topics. These are all fantastic activities that need your support. Getting students and young professionals to attend annual meetings provides a great opportunity for them to learn more about the transportation industry by meeting with professionals and other students and by becoming engaged in ITE. The challenge with all of the student and young professional programs and activities is getting students and young professionals to be part of these events at the chapter, section, district, and international level. It’s not enough to develop these programs, we must ensure that our students and young members have the opportunity to attend by offering subsidized or free registrations, travel stipends, and even award prizes to support their efforts. Most sections and districts already do a great job of securing funding for all of these programs. However, in the Western District due to the significant number (39) of student chapters, the continued program growth and need for funding continues to increase. Hence, a long term sustainable funding stream is important and is the reason why the Student Endowment Fund emerged. The fund started in 2004 and through creative fundraising events, it has almost reached the $500K goal. This is not only fantastic, but extraordinary and certainly one of a kind. I do recall the first time I was tagged to contribute to the fund through the creative adaptation of the “ice bucket challenge.” While it looked like a lot of fun, I chose to contribute instead. Very nice strategy Western District! I know that sections and chapters have done outstanding work in supporting students and the Endowment Fund. 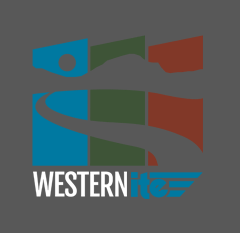 Almost all of the Western District sections have some type of fundraising events for their student programs and are contributing generously. This is a one of a kind program and it shows your dedication to our young members; so please help in closing the gap by contributing often!